Grab your record player, put on your dad’s old Black Sabbath t-shirt and take a seat. Love Moon’s new album Clouded Bliss will bring you back to the good ol’ days: colliding ’70s metal with ’90s punk, bringing a West Coast power house band. 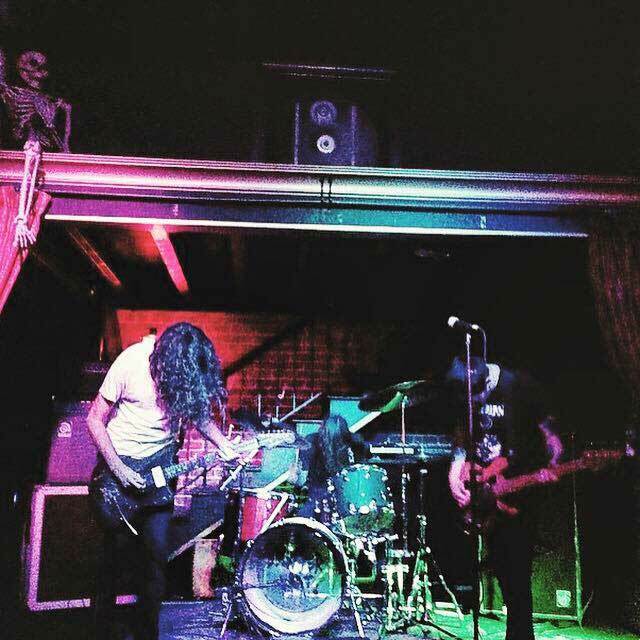 Originating in Indianapolis, now residing in Oakland, CA, Love Moon is a riff driven, hard hitting heavy-psych band. 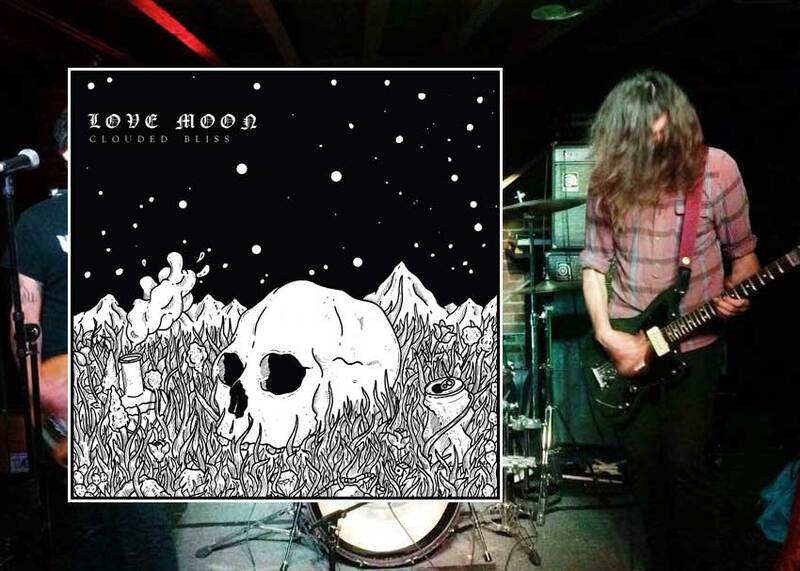 With their new LP out on Drink or Die Records and Failure Records & Tapes, Love Moon has pushed their sound open into a dark and tonally enlightened euphoria. Sludge, doom, punk, riffs and more riffs are some of the words that come to mind when you throw on Clouded Bliss. This album is full of loud drums, and riffs that will make your neck hurt. It’s hard-hitting, relentless and abrasive. They slam right into the first track “Not With Me,” which is full of thrash punk riffs, and raspy vocals. I love how this song is written. It’s balanced out perfectly, giving you the right amount of repetition and wildness. The buoyant vibe followed with super catchy vocals pairs together and complement each other perfectly. While the song is consistent and fluent, my favorite part has to be during the middle, where for a few seconds the guitar rips into a bombastic wah driven solo, then eventually drops into an upbeat slammer. It’s just a solid well rounded song that hits. However, I must say that my favorite track on this album has to be “Clouded Bliss.” Fuzzed out bass, dissonant notes and a constant drone makes up this massive sounding track. Starting off with a fat bass riff for a few measures, then a slight pause before guitars and drums come in; elevating the riff to an aggrandized level of Melvin-influenced heaviness. One of my favorite intros of all time. The expansive and drivey tones flow all throughout this song, causing your head to shift back and forth and back and forth up until the very end. But you can’t talk about heaviness without bringing up “Tortured Mess.” The last track on the album starts off with just bass, similar to “Clouded Bliss”, but this time it’s much darker. The bass tone is so rich; creating a brooding landscape while the guitars drift in. Once the guitar and subtle drums set in, your nerves calm, as if the sludgy haze was now subsiding. After a few measures, a distant feedback starts to pull through the front and then it hits; ripping into a sluggish and apprehensive riff. Such a heavy song that ties in this album perfectly. For the most part, the album has a constant underlying layer of metal influence that coats each track. They will go back and forth with different styles and genres at times, but they seem to stick to their core roots. You have tracks like “Starstuff” where there are fast punk riffs with melting solos. Every time I hear this song, I feel like I should be either skating or watching an old Zero skate video from the ’90s. But they also will throw in some experimentation, notable in “Five Year Plan.” It’s a track that just takes a step back from the pandemonium vibe and transitions into a fugue state. A continuous array of chords, repeated in a trance-like manor; chiming in with soothing guitar leads in a serene fashion. Then it slams in all together, yet it’s restrained; it’s as if there is a massive wall of sound that is being contained, held back, but giving you the perfect amount to keep you moving. There is so much to this album to talk about. It’s hard to get a grasp of it by just reading this. To be honest, the best way to experience these guys is to see them live. I played a show with them in a crowded garage where their vintage Ampeg stacks were sitting taller than I was; so loud my ears rang for days. 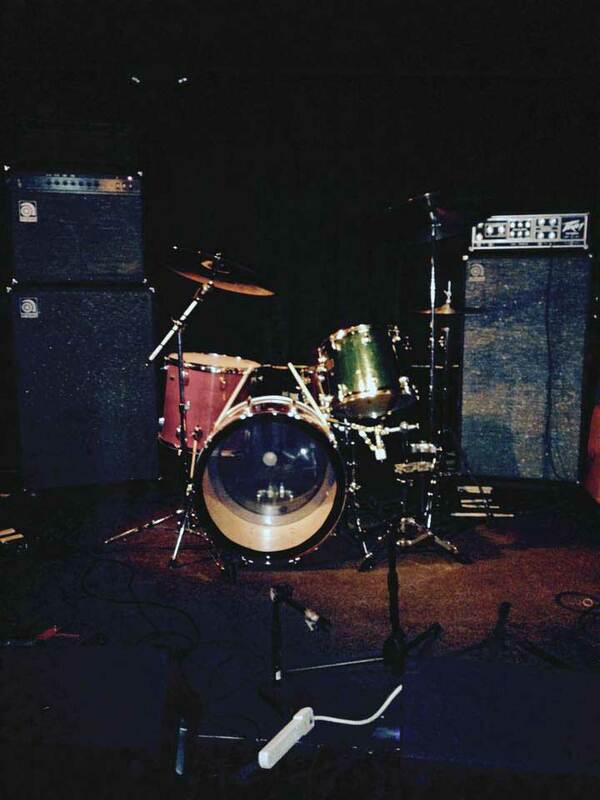 Their drummer had a “Frankenstein” kit, comprised of various companies and large toms; it sounded massive. He was super on point; never messed up once. The whole band was like that. Each song they played was so solid. No one missed a beat, it was flawless. You could tell right away that they had been doing this for a good time and that they knew what they were doing. They are group of dudes that work hard and love what they do. I don’t see these guys going anywhere anytime soon. So go check them out, listen to this album, watch them live and bang your head. Michigan is my home. Addicted to vintage drums. In constant search for the perfect snare. If I'm not touring or writing blogs, I'm scavenging the internet for a 60s Rogers kit.